A Mirrored Prophecy Reflects Precisely! The Mirror Vision is Specifically for the Last-days! 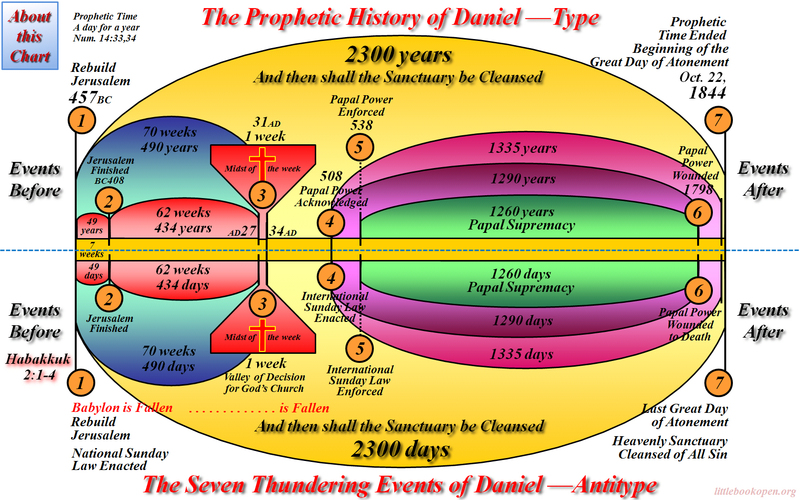 The Prophetic History of Daniel Chart was made in 1975; and The Seven Thundering Events of Daniel Chart was made in 1978. Unaware of the date, but exactly five years later, Dec. 10, 2014, I was writing on a supporting webpage for the Mirror Chart when I exclaimed “WOW!” I turned to my wife and explained what I had just found. 4 uses of mar'ah (H4759) all in chapter 10. (Vrs. 7(x2); verses 8 and 16. It didn’t take long for us to start rejoicing as we realized that yet again we were witness to the Lord’s leading and in His perfect timing. It was exactly five years earlier, to the very day, that this chart was made and named the Mirror Chart. 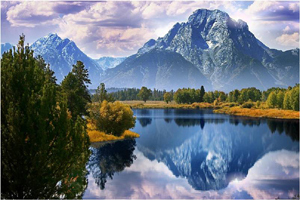 And now, we found that this was exactly what Jesus (Dan 10:5, 6; 12:5, 6) called the ‘vision’ when He gave it to Daniel, , —some 2,550 years ago, —the mirror vision of prophecy! Daniel’s prophecies would be, mirrored, —repeated; they would have two distinct fulfillments. The last-day antitype would mirror the historical type! This should direct our attention to the solemn command of the Mighty Angel who is holding in His hand the open book of Daniel, “Thou must prophesy again before many peoples, and nations, and tongues, and kings.” Rev 10:11. Where precisely are these prophecies taught? What great truths are taught by the mirror vision! Daniel’s name means “judge of God,” a name very appropriate for both his time and ours. 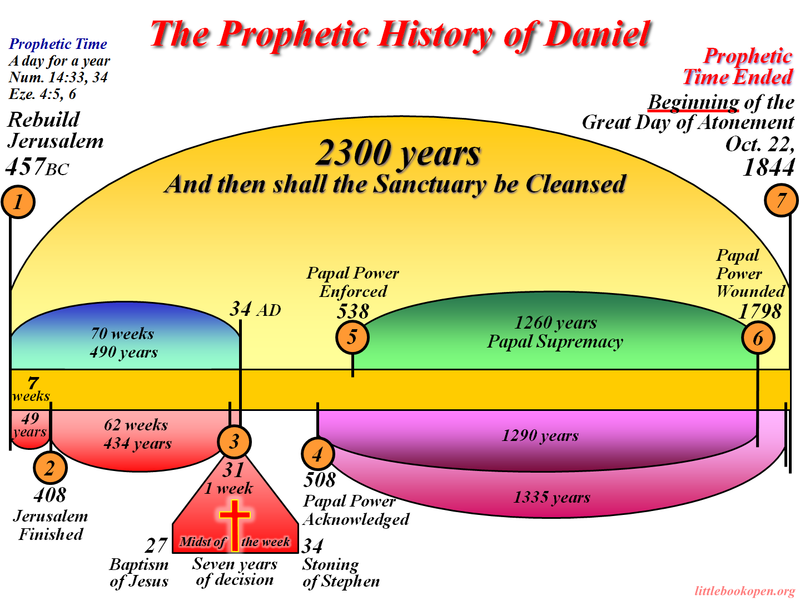 The whole book of Daniel is for the last generation! Daniel exposes the sin of generations so that the last generation learns from their mistakes and turns to Christ for all their strength! 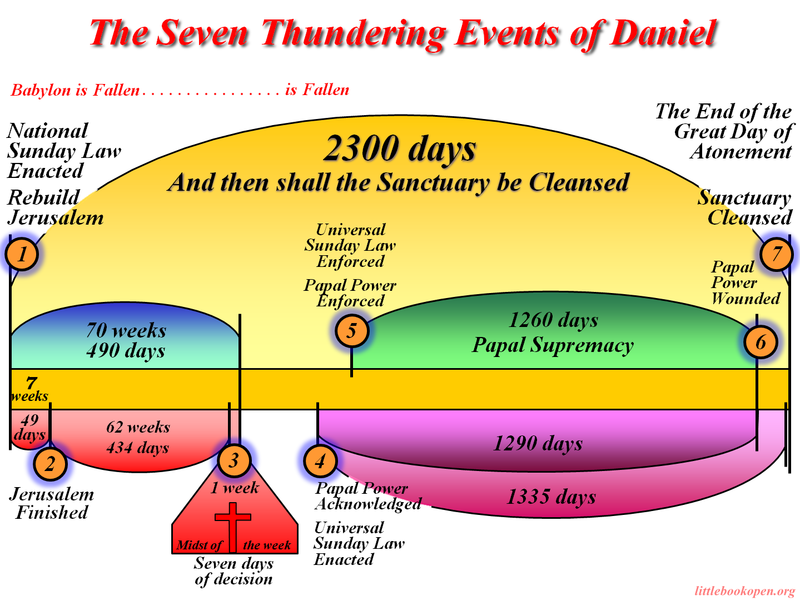 Daniel warns the last generation that “the judgment is set, and the books are opened” (Dan 7:10, 21, 22, 26; Rev 13:8). The Mighty Angel Jesus (Dan 8:13; 10:5, 6; 12:5, 6; Rev 10:1) provides for the last generation “a mirror” of prophetic history so that we may be washed clean of repented sin by the blood of the Lamb (Rev 7:14; 12:11; Dan 8:14). The judgment mirror which Jesus gives to us will show our sin, so that we may repent, and in the name of Jesus be saved, —before probation closes (Dan 12:1).